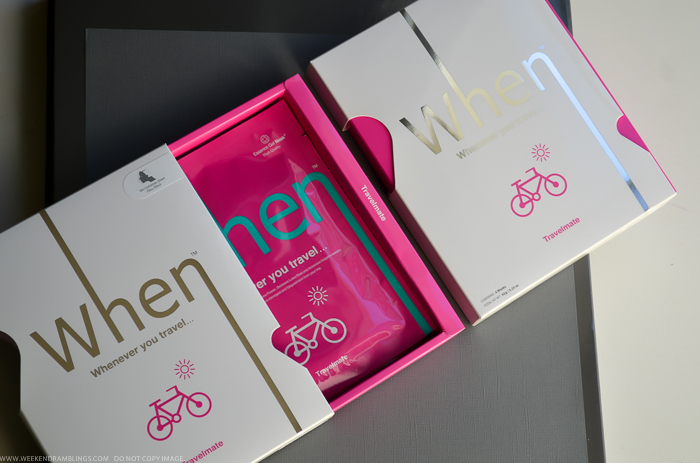 When Travelmate Essence Gel Masks come in a pack of 4 individually packed masks. 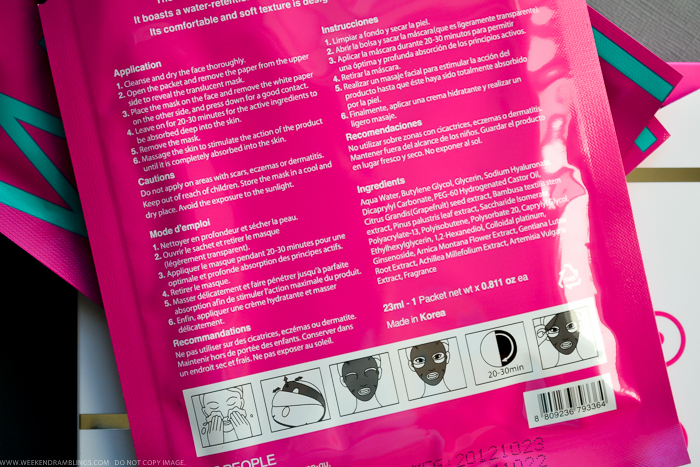 The individually packed sheet masks are quite convenient to carry around in the bag or share with a friend. The mask itself is made of cloth-like paper that is soaked in "essence" - some kind of a hydrating/brightening serum. It's actually a generous/excessive amount and can seem quite goopy and messy. The mask has openings cut out for the eyes and mouth. To use, peel of the paper sheets covering the mask on either side, and place the mask on to face. Leave on for at least 15 minutes. Remove and discard mask after use. Massage any remaining serum into the skin. I discovered these masks some time last year, and I have been buying and using these ever since. Safe to say I love them! 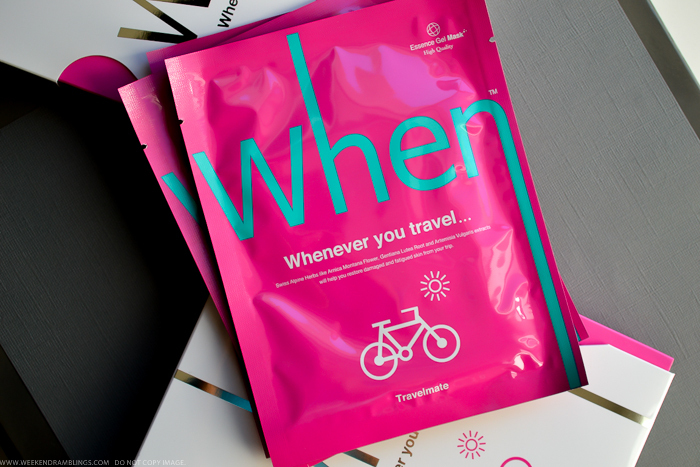 When makes a bunch of masks, each meant for different purposes, such as brightening, hydrating, etc., and I picked the Travelmate version when my skin was very dry, hoping to get some extra moisture. 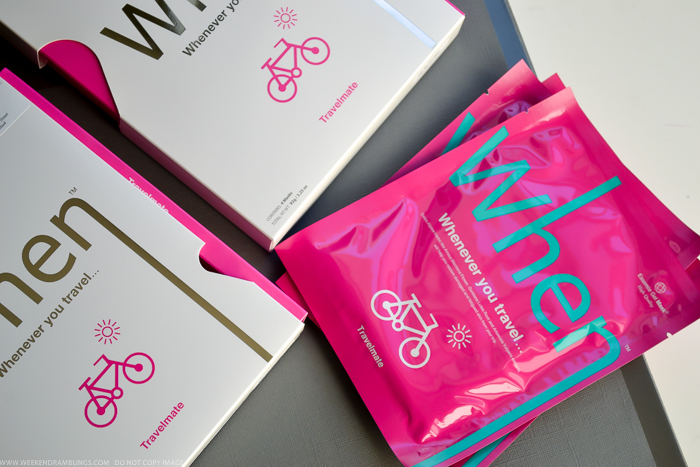 Turns out, this mask also does a great job at brightening skin. The mask is a bit messy to apply since it comes soaked in such a lot of the serum, but once it's on, I can go about doing whatever I want to and the mask stays on without slipping or falling. I usually leave this on for about 30 minutes and wipe off any remaining serum from my face. It is recommended to massage the serum in, but I find that I get breakouts if I do that (with any sheet mask). Since I wipe off the excess serum, I need to follow this up with a light moisturizer, but if you massage in the excess serum, you won't need anything else. As for results, I find this quite moisturizing and also brightens my face for a day or two.